As highlighted in recent media features, drugs are becoming ever-easier to obtain. On school playgrounds, at shopping malls, clubs and parties, most kids know where they’re available. And they’re affordable. Alcohol and smoking are often the entry points. Whilst tipsy, a teenager is offered a joint and the slide begins. Smoking “green stuff” is seen as cool by many kids and they don’t realise the danger they’re playing with. Nowadays, it’s often laced with stronger drugs, such as heroin, and addiction grips fast. Discussions with teens can prove quite hair-raising. Many of them don’t classify dagga as a drug and many plan to one day try “weed”. This includes disciplined, informed teenagers, not just rebellious kids with wild backgrounds. 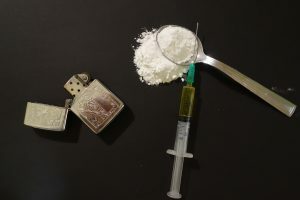 In reality, none of us can ever assume that our kids are totally immune to the danger of drugs – it’s in most of the places they frequent, and it cuts across all income, cultural, religious and schooling spheres. Feeling that you need drugs to have fun, relax or deal with your problems. Giving up family activities like sport, homework or hobbies. Outbursts of anger or other uncharacteristic emotions. Wearing sunglasses or long-sleeved shirts at inappropriate times. Feeling exhausted, depressed, hopeless or suicidal. Rambling speech, forgetfulness, dilated pupils, dry mouth and frequent lip-licking. Slurred speech, hyperactivity, lethargy, scars, tracks on arms, neck or legs. Argumentative, rule-breaking and withdrawal-type behaviour. For additional help, contact SANCA on 011-482-1070 or call Narcotics Anonymous 011-485-5248.